what is America's toughest road marathon? who will be running America's toughest road marathon? I haven't heard if it's true or not, maybe it is America's toughest road marathon, maybe it's not, but for me it will be "challenging" to say the least. I have few goals for this race, but if possible, I would like to run jog or waddle the whole way. That's about it as far as goals for this one. In my area, we do not even have appropriate terrain to train on for this marathon. We have rolling hills, that is, what "I" call hills, but for many of you, what I call hills, you would laugh and say they do not qualify. My experience so far, would be St. George marathon (net downhill with some uphills), the Tupelo marathon which is mild rolling hills, and Mt. Desert Island. MDI is the hilliest marathon that I've completed so far. I ran it as a training run (SLOW pace), and surprisingly it felt easy with the higher mileage that I've been running. I would like to run the BRM with a little more effort than a training run, but this will depend on some other race decisions this spring. From my reading so far, it looks like I need some uphill, as well as downhill training. Has anyone been to this marathon? In Dec. I contacted Meggan about a 5k training program. 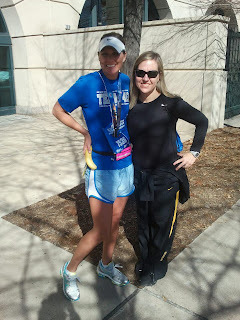 (check out her blog - she is SUPER fast, and she posts great training info. and details. She also ran in college, and her husband is a cross country and track coach. We're both from other areas, but we live in MS now, although on opposite ends of the state. We also share a LOVE of addiction to Dove chocolates. 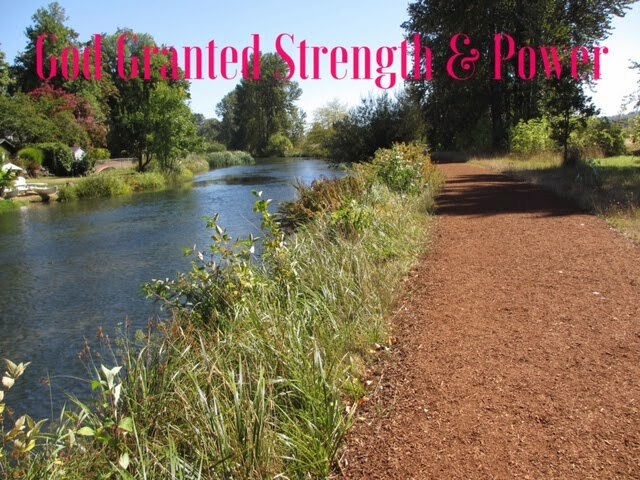 ♥ ) She was so generous to share with me, a 5k training program based on my most recent 5k time (22:59), my recent mileage, and based on my desire to keep my mileage up. I was nearing the end of my 3rd week of 5k training. 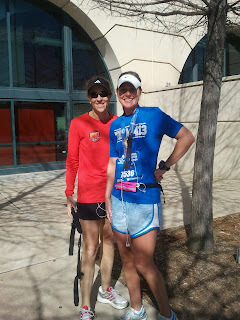 I had a great/hard track workout on Wed. with Chad (my hubby), and was EXCITED about an upcoming 5 miles race on Sat. It would be a test, and a continuation of my 5k training. Fri. morning, I woke up with the beginning of what I had hoped was allergies. I went out for a 7-10 mile run, but realized during the muggy southern run, that my sinus issue may be more than allergies this time. I decided during the run that I wouldn't be racing on Sat. During the run, based on how I felt, I lowered the mileage to 6 miles, and I decided on Sat., I would just go and run to get the mileage, or if I felt ok, I would run the race as a tempo run, instead of "racing." Later in the day, I canceled the plan to run at all on Sat. Sat., Sun., Mon., Tues. - no running, just some easy walking. I'm thankful that it was "just a cold". Yesterday, I finally felt better (not 100%) but ready to go for a run. I ran slow for 4 miles. This evening, I will run 5-8 miles depending on how I feel. *this week, as my head was pounding for several days, I said several prayers for people who deal with chronic pain. I'm thankful! *if I'm going to be sick, the timing was actually "good timing" in the big picture. I'm thankful! *4 days doesn't have a major impact in my plan. I'm thankful! The day ended up being super special. We had fairly good viewing for the start of the race and stayed for the elite to pass a few times. Later in the morning, after going inside to warm up for a bit, we started looking for a spot to view the men's finish. We were standing near the VIP area. Dawn had left us to find a "better viewing spot." She sent a text saying, "come to the bleachers!" At the same time, I noticed random people were going into the bleacher area for the VIP. So Terri and I walked over to the VIP bleachers, asked if we could enter and they say "go ahead". As it turned out, Dawn was down the road, at another set of bleachers so we called her to join us. We found spots right on the fence near the finish. PERFECT viewing! Now I'm a follower of the elite 6. A super way to start the weekend. Sunday morning Dawn was up EARLY to drive Terri to the start of the race. My plan for the day was to start running from the condo that we stayed at (see pic below- the green one) and to run toward the marathon course to meet Terri around the Galleria (about mile 16). Beautiful area and a super place to run, except, Houston has WAY too much concrete. I ran 7 miles and made it to the Galleria @ Post Oak near mile 16. Terri's goal for the day was to run a sub 4 hour marathon. Shortly after arriving at the Galleria, I noticed the 3:20 pace group heading through the area. I decided to start walking to meet Terri. I walked for about 1.5 ish miles. Just as I was starting to get nervous, thinking I may have missed her in the crowd, I spotted her running hard and looking great. We were happy to see each other. I think we were both relieved that the search was over, and I was EXCITED to run with her. Terri ended up at 3:54, WAY under her goal. (4th marathon and sub 4:00) As you can see, she only slowed a tiny bit in the late miles. During this part, I ran ahead a little (on pace) and then I would wait for her. She was so sweet, each time she would apologize and say, this is all I have. Around mile 24, I told her "let's finish this". I doubt she even heard that - she wears her tunes LOUD. Whether she heard it or not, SHE did finish it in a FAST way. At mile 25, the girl took off, and we ran the final mile @ 8:16. FREAKIN AWESOME T.W.! I had pulled off the course for the last 1/2 mile but kept running on the sidewalk beside her. At the reunion area we celebrated with a BIG HUG! It was such a perfect day for her and fun and exciting for me. Later in the day, she had a call from her hubby saying her father-in-law was back in the states. He has been in Iraq for the past year. Doesn't get any better than that........ thanks for inviting me Terri ! Ginny & Terri - let the post race celebration begin! More on my training later, but I'm starting my 3rd week of 5k training. Quality - 6 X 800 on the road @ 3:30 avg with 2:15 recovery, and 18 mile long run in Houston - last 11 @ 8:56 avg. This week I will be running 8 X 400 on Wed., and then racing a 5 mile race on Sat.